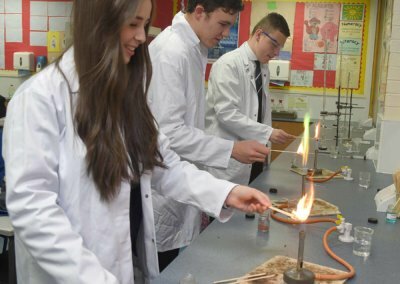 The Aim of this department is to develop learner’s curiosity, interest and enthusiasm for Chemistry in a range of contexts. 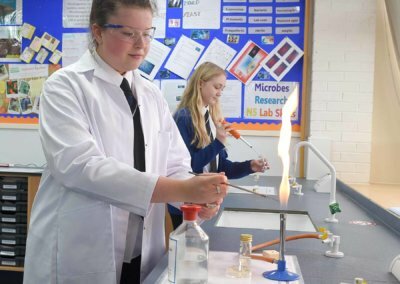 The Key Skills of Scientific Enquiry and Investigations are integrated and developed throughout the course. The relevance of Chemistry is highlighted by the study of the Applications of Chemistry in everyday contexts. We will cover the knowledge required to allow the young people to become scientifically literate citizens, able to review the science-based claims they will meet. 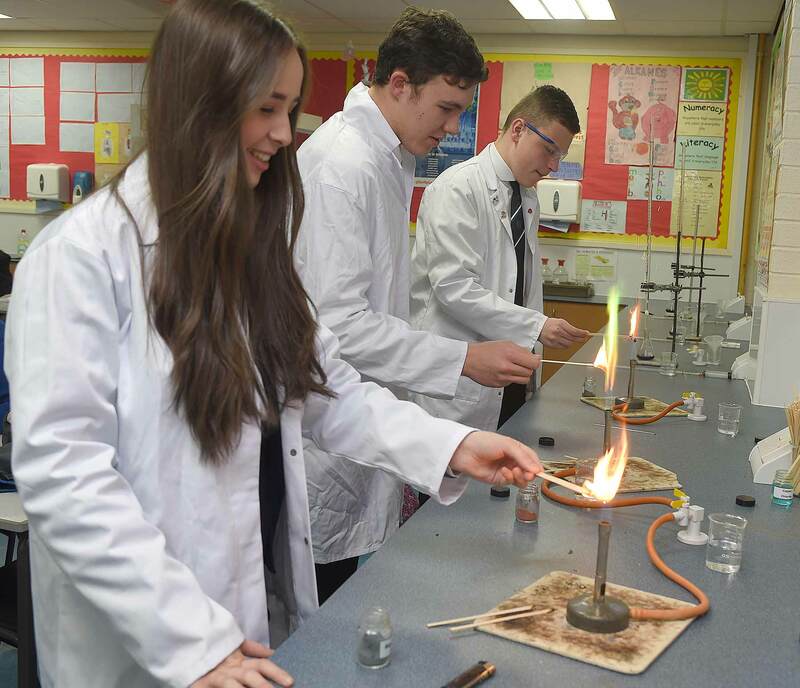 In this way we will enable all pupils to achieve their maximum potential in Chemistry. Chemists are the people who transform the everyday materials around us into amazing things. Some chemists work on cures for cancer while others monitor the ozone protecting us from the sun. Still others discover new materials to make our homes warmer in the winter, or new textiles to be used in the latest fashions. The knowledge gained through the study of chemistry opens many career pathways. Here are just a few of the careers chosen by chemists. 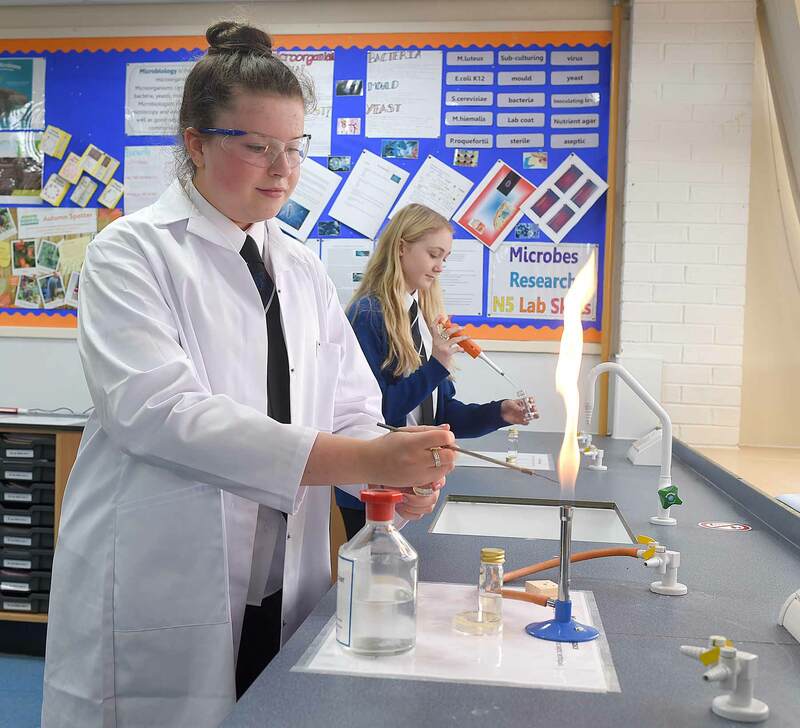 In addition, a good pass at Higher Chemistry is seen as a very worthwhile qualification and can help gain access to University courses not directly involving Chemistry – such as Law, Accountancy etc. 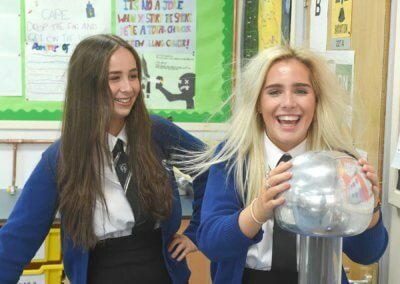 In S1 and S2 an integrated BGE Science course is offered for 3 periods a week. 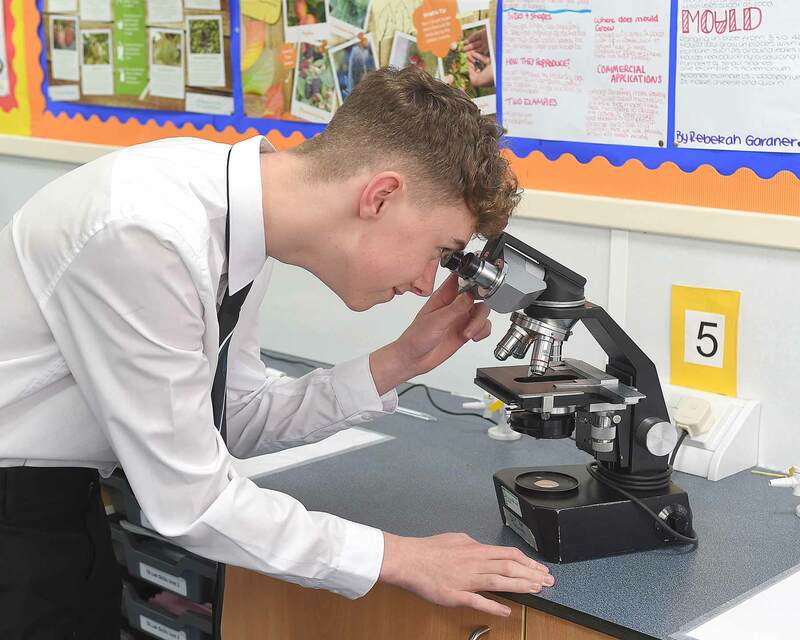 In S3 pupils have the option of choosing from BGE Biology, BGE Chemistry, BGE Physics or BGE Applied Science. 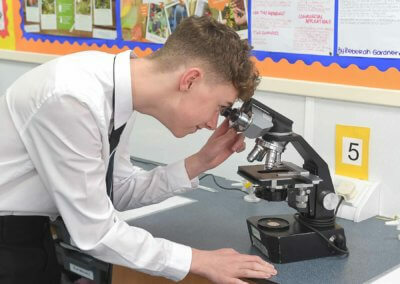 National 5 Chemistry is offered to S4 and is taught over 4 periods a week. Higher Chemistry and National 5 is offered to S5/6 and is taught over 6 periods a week.